Feel free to use the menu at the top to see the reports for each site – the All tab shows all the news published throughout the day, but please be aware that we’ve had over 600 stories posted so it may take a while to look through! Massive thank you to the Press team for putting out so much amazing content, and the players for providing so much to report on! Mega thanks to the Control Team, who I’m sure you’ll all agree did a stunning job to keep the game running smoothly and making sure we all had fun. And THANK YOU to Jim Wallman for conceiving this crazy idea in the first place. The Republican Presidential Candidate is Governor Osa of Mishigamaa, running with Hollman as VP. The Democratic Presidential Candidate is Governor Crow of Kanawha. We wish them both the best of luck in the election. Exclusive announcement from the CEO of Nutrivend. “We are investigating two possible cures for the infection. Our first has proven ineffective – we tested it in a limited area in Romero City, but unfortunately effects were negative. We tested with full support of the Mayor. Wagon and Lexcorp have merged and Governor Jon has gotten them to start distributing the cure to civilians. Hopefully all goes well from here. As previously reported, national media has learned of allegations that the DHS and the Pentagon told the Mishigamaa National Guard to arrest the Governor of Mishigamaa. Since then, we have learned of far more disturbing developments. In particular, the White House and the Secretary of Defense gave written orders for the Pentagon to coordinate with the Mishigamaa National Guard to illegally act in Mishigamaa. According to our sources, it was the Pentagon (and not the Mishigamaa National Guard) that determined that such actions were illegal. Given that there is written proof that the President gave authority for the Pentagon to act in Mishigamaa, it is now only a question of when (rather than if) the President and her Secretary of Defense are arrested and charge with high crimes and misdemeanours. Nutrivend claims to have discovered a cure and will be testing it shortly in the city of Marquette; results to be announced shortly. The national media has learned that the DHS and the Pentagon previously told the National Guard of Mishigamaa to arrest the Governor of Misghigamaa. DHS and the Pentagon attempted to convince the National Guard that the Governor was unstable and not fit to govern. The National Guard subsequently determined that such orders were both illegal and immoral. They consequently refused to comply with such order. It is unclear at this time whether the order was due to the fact that the Mishigamaa Governor is currently running for president and does not appear to be favored by the White House. This leads to the question of whether the White House has taken advantage of the crisis to further its own political agenda over the well being of American citizens. It has emerged that the big four pharmas are hoping to put their heads and resources together to develop a single cure for the ongoing phenomenon. Bay City has now also appealed to the White House for help to bomb the city in light of the ombie overrun. However, neither the pharmas nor Bay City have heard any responses from the White House. Perhaps everyone at the White House have now taken to relaxing at the golf course whilst planning for the 4th July celebrations? In the midst of an ongoing crisis where transparent leadership from the White House is more important than ever, the President and her support staff have become increasingly paranoid about the role of the press. On numerous occasions when asked for comment on various aspects of the situation, the President has stated either, “No comment” or “We are dealing with it” with no further explanation. The unwillingness of this administration to inform the public what is being done to stem the tide of bloodshed and chaos is a cause for grave concern. This great country has always depended in significant part on the role of a free press to inform the public and keep tyranny in check. 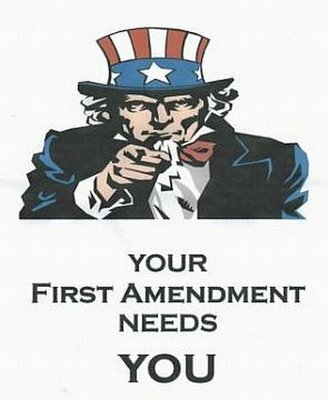 This is the why our Founding Fathers enshrined the rights of a free press in the First Amendment. For as long as the White House continues to refuse to provide substantive comment and input to the press, it is clear that the administration values its political reputation more than the most important values of our nation. News just in that our offices in Romero have been overrun by the ‘Alternatively Animated’, and we hope again that our brave colleagues have been safely by the security forces. Weygand and LexCorp to merge, says Bay City official, after talks managed by the Mishigamaa State Governor. Homeland Security has informed national media that they have developed a cure and have developed two delivery methods: aerosol and darts. They are currently in the process of determining which method to use. While the national media welcomes this news, it is intriguing that numerous state and local governments appear to have developed a cure before the federal government. Perhaps the federal government’s prior preoccupation with nuclear weaponry, which has been confirmed through confidential sources despite protestations to the contrary from the White House, was the cause of the federal government’s lackadaisical behavior. Whether it’s election fever or the zombie virus, this weekend has seen the most activity since the site was originally launched – over 500 articles published since Friday evening! The most prolific news team seems to be the Ahao office, with over 80 stories published in the past few days alone. Special commendation to the Mishigamaa Editor, who has been nominated for a Badger of Honour after publishing 41 articles from his desk alone. News just in that our offices in Marquette have been overrun by the ‘Alternatively Animated’. Our thought and prayers go out to our brave colleagues and hope that the security forces are able to protect them from harm. Despite massive casualties across the country, numerous states of emergency declared, bombing of American cities by US federal forces, and unprecedented panic, the White House continues to plan to go forward with its 4th of July picnic. It is unclear if the White House will learn that the lives of its citizens takes precedence over hot dogs and burgers. Following the mayoral confrontation with the state governor, there are reports of mass panic and riots across the entire state, with some reports claiming that the National Guard are beginning to desert their units to return home to protect their families. The governor stonewalled the mayors’ demands and has refused to step down or declare a State of Emergency. – Romero: Still defended, but situation is deteriorating. May re-instate emergency declaration. Rebuilding field hospitals and fortified base of operations with LexCorp. Mayor now declared “Interim State Governor”, and will attempt to run defence of state from there. – Spearing: Police Chief captured by Free Militia. Militia demands federal response to save city and admit responsibility, or will execuse him. Deputy Mayor Hunt is running for Mayor, and declares Spearing one of the last safe bastions against the outbreak. – Grand Rapids: Mass panic, Nutrivend CEO staying in secure facility to work on cure. Chief of Police has been infected. Mayor intends to force governor to declare State of Emergency. – Bay City: Quarantined and overrun. Federal drones bombing infrastructure to strong infestation spreading. City of Police condemns Mayor for failing to coordinate City Evacuation, instead working for political gain. Police Chief declares intent to run for Mayor. – Marquette: Fully infested by the outbreak. No news on additional funding bid. In an act of incredible ineptitude, Nutrivend has sent dangerous research specimens to the Shawnee News Office, unnecessarily endangering the lives of our colleagues and setting back future research efforts. London Ontario has taken drastic measures against the undead menace. An airstrike demolishes areas next to Lake Erie, taking out zombies and abandoned homes alike. “This is our second airstrike,” the mayor said smugly. “Our FIRE trucks have also proven quite effective. I’m sure there were no civilians in the area.” The mayor was wearing a horrific zombie skull as a helmet at the time of the statement, appearing totally unafraid of infection. The mayor of London showing off their new weapon. Governor Jon has decided to drop out of the race for president and endorse Mayor Mike who has officially started running for president also has the full support of both the Republican Charlottes Ville and the Democratic Roanoke. Governor Jon is now running to be reelected as Governor, with Mikes support. Mike believes that one of the reasons the Governor is so disliked is that he was dealt a bad hand he did his best and pulled through everything and our city was bettered by his support. Whilst Nutrivend had been singled out as the exclusive partner of the White House earlier, it now appears that the big four pharmas – Weygand, Necrotech, Lexcorp and Nutrivend are now going head to head against each other to be the first to identify the cause and cure for the zombification phenomenon. However, it would seem that Nutrivend is still at the head of the pack, having claimed to have sent their first shipment of NutriSpeed to the Grand Rapids Police which had “give(sic) them an edge in controlling the outbreaks in the city”. Necrotech is currently appealing for additional resources to fund its ongoing research and development, and the other two pharmas have not replied to our requests for an interview by press time. One would wonder how Nutrivend had such stores of resources and why it has such strong vested interests in this matter. Due to a complete breakdown in the situation in Wabash, national media has learned that the Wabash branch of Badger News is being forced to flee. Any efforts that can be made by local, state, or federal authorities to assist our colleagues in this harrowing hour would be greatly appreciated. To our colleagues on the ground in Wabash: Good luck and God bless. They demand that she either call a State of Emergency instantly, or stand down to make way for someone who will. They propose the Mayor of Romero City to stand to take the Governorship. Is this a Democrat plot to take over State government? Or a simple cross-party consensus to deal with a major crisis? A meeting is currently underway between the governor and the city mayors. The Bay City mayor is confronting her angrily. More on this story to follow. The White House has stated that the previously reported nuclear breach in Mishigamaa is actually located across the border in Northland. While discussions are apparently underway between the White House and the Northland Prime Minister, the White House is unwilling to share any details with a concerned public. The Bay City Mayor is reportedly leading a coup organised among the mayors of the major cities in Mishigamaa to overthrow the State Governor, citing complaints over the Governor’s response dealing with this current crisis. National media has learned of reports that Necrotech may have developed a cure in Ouisconsin. Further reports as the situation develops. Luke Doodeman (Emergency Services Chief of Yorborough) and Bram Hesselink (Deputy Emergency Services Chief of Yorborough) are leading research on a cure to the zombie infection, together with the cities of Erie, Allentown, Yarborough and pharmaceutical company LexCorp. State police has been helping with a financial injection and by introducing LexCorp to the research. LexCorp has commited to produce the vaccin at a reduced cost. The researchers are stressing that it is their intent that the cure cannot be used as a weapon, but only as a cure; “This needs to stop!”. A Cure has now been found, but is still in need of a delivery system. LexCorp is currently working on this delivery system. Reports have come in, confirmed by City Hall, that the federal government have started using drones to bomb key infrastructure such as bridges in Bay City, to try and stall the “Alternatively Animated” threat. A source in City Hall claims the authorities have abandoned the city and refuse to deal with the direct threat to the populace. Our source believes that the Governor is completely wrong to have not issued a State of Emergency. Reports have come in about a potential leak in the Bruce nuclear power station on the shores of Lake Huron. The populations of Bay City, West Branch, and Gaylord have been warned, and are recommended to evacuate and move to Romero City if at all possible. Nutrivend juice the cause behind zombification? Sources have informed this paper that Nutrivend juices are the cause behind the recent spate of zombification. There’s nothing to lose by not drinking it, so please don’t. According to sources in the Federal Government, the White House has learned of reports of unapproved weapons testing on American civilians. We will update with further information if and when the White House cares to take action on these disturbing developments. Reports of Mass Panic in Grand Rapids, with riots and people fleeing the city. This has been confirmed by the City Mayor, who made a statement to the press, urging citizens to stay calm and evacuate to City Hall which is still protected. Nutrivend still working on a cure in their secure facility, supported by the City Mayor providing funding and manpower. The Mayor says there is no evidence that Nutrivend are responsible for the outbreak. When asked about the offer of military assistance from the Prime Minister of Northland, the President replied, “No comment.” In the face of an unprecedented crisis, it is highly concerning that the President appears to be unwilling to take decisive action as needed. White House State Liason to meet with militia groups to discuss possible locations and instigators of the outbreak – such groups have been accusing the federal government of collaboration. Rumours are circulating that the militia groups may try to kidnap the Liason officer. Northland troops are gathered on the border to Adirondack, prepared to help with the zombie crisis. “We are waiting to hear back from the White House before sending in troops” says the Prime Minister. In the face of overwhelming casualties, this publication is concerned just how many more “things” need to happen before the Secretary of State takes action. Despite rumors of tactical nuclear weapons being taken out of storage by the President, the Vice President and the Joint Chiefs have ruled out the use of nuclear weapons on the American population. The Vice President emphatically stated that they were focused on looking for a cure for the current outbreak of infected (that are definitely not “zombies”) and that the White House would not take nuclear action. When questioned about this further, the Press Liaison Officer was not at liberty to say why the Federal line has not changed since the initial outbreak. Surely some more concrete action needs to be taken to help our country, which is being ravaged by an infectious zombie outbreak that seems to be out of control. FEMA has informed the national media that they are working closely with Nutrivend on treatment of the infection, but has found most other corporations to be unresponsive and unhelpful. Notably, the national media has heard reports that Nutrivend of Mishigamaa has been stealing corpses from hospitals without the permissions of the families of the deceased, which raises questions about the moral standards of FEMA. With regards to the situation of Boyle City, Wabash, the Secretary stated that Boyle City has been evacuated by the governor. With regards to political developments involving the governor, the federal governmental stands at the ready to help and has full confidence in the (Republican) governor of Wabash. The citizens of Romero City will be given VR headsets in what seems to be a bid to blind them to zombie attacks and questionable political campaigns. Along with the announcement of free VR headsets, the Republican state governor, Maria Osa, has announced her candidacy for President. In an interesting twist of political fate, her candidacy is supported by Pollyana, the Democratic Romerean city mayor. This would be America’s first cross-party liaison for Presidency. When questioned if this was the right time for the State to be spending funding on VR headsets, the representatives from Romero City remained adamant that this was the right thing to do, as the VR headsets seek to ‘educate the public’ about calm in the current state of turmoil. The result of the liaison between Democrats and Republicans remain to be seen, as that between VR headsets and zombie attacks. The Free Militia have captured Waygand Corp HQ. On interrogating their records they have found evidence that their lab in Bay City was the originator of the outbreak and that they had been working with the Federal Government. This links in with previous reports that a LexCorp facility in Bay City could be the source, which was being investigated by local police forces, and observations that the State Government abandoned Bay City to the hordes very early on, rumoured to be a coverup for their corporate dealings. The Governor denies this, and claims that National Guard deployment were unable to get into the city to assist. As a result, they had to quarantine the city. An unnamed but impeccable source has told us that Nutrivend caused the virus outbreak. Apparently they’ve been stealing corpses for study for a while now, and their blundering experiments unleashed the virus. Our reporters will be following up on this to find out what else the company has been doing, since it moved its headquarters to Missigama. I’m sure the Mayor of Misquitte isn’t quite so happy to have asked to be quoted as saying that Nutrivend would bring a huge amount of benefit to the local community in the form of job creation when Nutrivend first opened its new headquarters less than a week ago. State Governor says that declaring a state wide emergency was the right decision allowing her to keep control of the resources and co-ordinate Cities. Governor allocating all resources possible to aid Cities. No intention to declare State Wide emergency in future. Romero City expected to raise state of emergency shortly. Mayor wishes to offer assistance to more of the state, while the State Government praises them as a model of how to react under a crisis. Bay City however, is to be placed under State Lockdown, evacuated and abandoned. Press announcement from State officials to be expected shortly. A anonymous source from within the police department blames this on the Chief of Police failing to negotiate adequate resources and failing to make use of state supplies, while the State Governor promised assistance from the National Guard which never materialised. My source believes that the city was abandoned by the state right from the state of the issue. Was this a ploy to prevent full investigation of the LexCorp facility? Grand Rapids is now the last of the five major cities to declare a state of emergency. The Mayor would like to issue a bit shoutout to the efforts of all its emergency services. Angry mobs have formed at the hospital and Nutrivend HQ. Bereaved familes have had the corpses of their loved ones removed from the morque, and suspect Nutrivend of turning them into more Alternatively Animated. As far as Spearing goes, the State Governor would like to praise the City Officials and Police Force for saving her mansion and family, but they do not deny reports that the majority of civilian protection has been outsourced to militia armed by the state. Reported leak at Bruce nuclear plant on the shores of Lake Huron. “We are responding to the situation as quickly as possible, further updates to come,” the PM quickly responded. On a clear day, the power plant can be seen from the shores of Mishigamaa. In a press release by the Department of Homeland Security, Nutrivend has been singled out as the exclusive vendor for dealing with the latest spate of ‘infectious diseases’. All specimens will be sent to Nutrivend for analysis and the pharmaceutical giant will be tasked with developing the cure for the outbreaks. It is unclear how much money is at stake in this high-profile contract at this point. The Well Ordered – responsible for global ransomware attack? Our sources have corroborated evidence to identify our former anonymous source claiming credit for the global ransomware attack as a member of “The Well Ordered”, a suspected terrorist group which Nutrivend accuse of trying to source biological weapons. A kill switch has apparently been found for the ransomware virus, which is no longer spreading through global banking systems. However, The Well Ordered have not come to an agreement with the US Government, and intend to continue their attacks to prove UN involvement in the Blight outbreak. National media has learned that the Wabash national guard and the local liason from the pentagon have repeatedly emailed the Pentagon asking for assistance. Unfortunately, despite the terrifying and deadly crisis, the Pentagon has not responded to the pleas for help. The horrifying situation is compounded by the Wabash Governor’s failure to communicate with the White House. Necrotech have been tirelessly working towards a cure for the undead and their scientists claim they are “on the verge of a breakthrough. We have almost finished work on early morphology but need more samples.” They have also confirmed that the undead can be revived. Reports of the Zed problem becoming under control in question as confirmation comes in of Zombies spreading to Minnesota and Iowa. The Mishigamaa press office has been contacted by an organisation claiming to be responsible for the “WannaBeFree” ransomware attack affecting global financial systems. This comes from an anonymous source who did not wish to be named. A source wishing to be described only as “a patriot” has informed this paper that they believe the source of the outbreak across the entire nation is a secret lab situated in the Bay City area in Mishigamaa. This information is gained by the source through interrogating captured infected persons. If true, then is this, as suspected by some, the result of state experimentation or corporations meddling with nature in the name of profit? BREAKING NEWS: The city of Wabash has fallen to the ‘infectious disease’ that has been sweeping America. The President has expressed that her thoughts are with the city, but does not see the need to declare a state of emergency just yet. Governors of cities overrun by infection are urged to reach out to the Federal Government to request for aid. The President made reference to cities who have previously showed resistance to federal aid, and continued that Governors and the Federal Government should be on a two-way street as the Federal Government will not be able to provide aid effectively if information is not volunteered to the Government in the first instance. The President continued that the Government desperately needs more information to “understand the situation”, but assured this paper that the Federal Government is prepared and adequately supplied to extend aid to cities upon request. When pressed further, the President refused to comment on the the two captured specimens. However, from a separate conversation this paper had with FEMA, we understand FEMA is reaching out for help from corporations to aid the Government in its time of need, with regard research on the captured specimens. The President is, however, still debating if the famed 4th July Picnic on the Gardens should still go on. The conversation with the President and FEMA underscores the current state of turmoil within the White House, as lack of information and panic permeates through each level of the Administration. Quick round-up update on Mishigamaa cities. It has come to our attention that local forces belonging to the Susquehannock state have opened fire on a federal building. Reports are sketchy at present but we hope to have more as soon as possible. Is this a federal crime or the start of something far more sinister? Romero City beats back hordes while Spearing declares State of Emergency! Reports are coming in from multiple sources that despite initial problems with effective deployment of police, Romero City has now been cleared of the “Alternatively Animated” hordes. The Police Chief has eased off double shifts, but is reported to be the subject of a federal investigation alleging that he ordered the shooting of civilians. City Hall stands behind its chief of police at this time. City Hall spokes person stated “People are innocent until proven guilty”. On Sunday there will be a local “citizens of the future” event to look forward to an optimistic future. Why has the state abandoned smaller cities in order to protect Romero? Is this the result of corporate meddling? LexCorp has recently moved HQ to Romero, and apparently other corporations are in similar talks. BREAKING: City of Spearing is in process of declaring a state of emergency following advice from the National Guard. Several Zs have been captured and are available for research. The National Media has learned that the White House has begged for help from major corporations as the federal government appears unable to do anything to treat the infected (definitely not “zombies” according to repeated messages from the administration despite evidence to the contrary). By now you have no.doubt heard about the virus crisis facing the country. any commercial uses that arise from this research. need a facility to study them and develop treatments. Bay City office of Badger News under Zombie Siege! National media has learned from our own correspondents that our colleagues in Bay City are under current attack from zombies. In this time of crisis, we strongly believe that it is important to keep the press safe so that necessary information can be distributed throughout the country and worldwide. We call upon both local and federal authorities to move immediately to save our friends and colleagues or spend the rest of their lives knowing that the blood is on their hands. This reporter was unable to talk with any Pentagon Official as he was told they were relaxing on the golf course. With so many outbreaks reported and so many people being infected, is now a good time to be relaxing!! We were told to talk to the White House for any news we needed to know. The Governor of Adirondack has requested federal troops to aid his battle against the infected population, commonly referred to as “zombies”. Troops will be deployed under a local commander… let’s hope this is not too late to help those still unaffected by the outbreak. In an exclusive interview with the President, she insisted that the widely reported outbreak of “zombies” should rather be regarded as an infectious disease, but confirmed that the cause has yet to be identified. National media have learned that the federal government has been able to capture two “infected” specimens (zombies?) in Adirondack, but does not have the facilities to study them or develop treatments. Reports are coming in from across the state of drones spotted flying across major cities in Mishigamaa. The leading scientists at Necrotech have identified the strain of virus causing the Infestation we now experience. They have confirmed that the virus is indeed resurrecting the dead. In oher news Max Brooks Zombie survival guide rockets in sales. However the Chief of Emergency Services reports of civilian casualties due to police prioritising the defence of the Mayor instead of protecting neighbourhood districts. “We have had a number of requests from state governors and mayors for a cure to the zombie outbreak. Nutrivend is currently dedicating 100% of its resources to finding a cure for all of the states affected by this current crisis. Our Drugs Save Lives. Nutrivend has noted that Romero City appear to be acting extremely aggressively against the afflicted. We have to remember that the afflicted are our friends and family. We must take a less aggressive approach and look to contain the afflicted and not simply try to kill them. If there are any unfortunate casualties or victims that can be brought to our facilities please do so. We are doing everything in our power to search for a cure. Nutrivend continues to serve the people of America. Sources have informed national media that the White House is actively considering the use of military drones against the zombie outbreak in US airspace. This appears to suggest that the White House is willing to use military force against its own citizens. The Pentagon has been reported saying that things are “not looking good” in Mishigamaa. Crises notwithstanding, the White House are still going ahead with its annual 4th of July picnic celebrations on the Gardens. Deputy mayor has confirmed this morning that the mayor is interrupting his campaign so as to focus on the zombie outbreaks. These outbreaks have caused three people from east Yarbrough to be eaten alive already ths morning. This comes in time while he was also criticized for allegedly participating in a montage during an emergency services intervention in Yarbrough. The deputy mayor has not denied the validity of these claims, which raises the question his other picture in which appeared shooting zombies. The DHS has informed national media that US citizens should wash their hands, use face masks if possible, brush their teeth, and all interstate travel should be avoided unless absolutely necessary. We at the national media applaud the White House’s good hygiene and pearly white teeth. Washing up on shore, the walking dead have emerged in Northland! One of our reporters has had an exclusive interview with a spokesman from one of the horde, claiming that the “Alternatively Animated” are misunderstood and being persecuted by the state and profited off by the corporations. DHS sources have informed national media that DHS is underfunded in the face of the current crisis. While we understand that the President is considering options, it is unclear if the necessary actions will be taken. State of Emergencies declared in Gary, Fort Wayne and Boyle. When asked what the Pentagon was doing in the face of the outbreaks, a spokesman said they were in a state of heightened readiness. When this reporter suggested they had been in a state of readiness for the past week, a spokesman said that Federal resources could not be deployed to states without the proper request from the affected state. The White House has issued a directive to all media outlets warning them not to use ‘the Z-word’. In the face of much uncertainty caused by the recent zombie outbreaks, this paper feels that the gag order issued by the White House is undue censorship of the free press. The national media is glad to hear that the White House has sworn in a new Secretary of State, Adam Sibson. In the face of a developing crisis, it is hoped that Mr. Sibson will provide the necessary leadership with our friends in the North to handle the situation in a competent manner. Reports have come in that the National Guard has been mobilised in Ahao but without any accompanying announcements of a state of emergency. A spokesman for the White House said they were working with their local teams to determine the strongest Republican candidates. So far 3 candidates have put their names forward, although no further details were available at the time of printing. Those putting their names forward include the Governor of Ohio, The Mayor of Cincinatti and the Governor of Osa. Details of the Democratic nominees have yet to be announced. A Homeland Security representative informed national media that there is indeed a zombie outbreak in the Eastern US despite prior statements to the contrary from other parts of the government. Homeland Security has informed national media that everything is “under control” and that they are in the process of “determining the correct response” despite not having any prior experience dealing with such a crisis. an infectious disease in multiple states across the north-east region. officials are ready and able to brief the press where appropriate. In a brief interview the Wabash Governor, Fraser Schwarzenegger, has launched his presidential bid for the upcoming election. Running on a “stable & strong” Republican platform, he is confident his experience from a 2003 tour in Iraq will showcase his leadership in the current Zombie emergency. The mayors of Richmond, Terre Haute, and Fort Wayne gave no comment when asked about the bid. Citizens in various states have been advised to “stay home” after reports of zombies have been sighted. States affected include Ouisconsin, Adirodack, Ahao, Mishigamaa and Powhatan. The White House has yet to make an official press release. After being informed by the national media that reports were coming in from numerous local media sources of zombie outbreaks, the White House was unprepared to issue comment immediately. Hopefully they will soon be able to provide the country with national leadership. In discussions with national media, the President stated that she was unsure who she would back as her successor in the next election, though she did state that she would of course be supporting a Republican candidate. Clearly bipartisanship is not a priority for this administration. Interestingly, the position of Secretary of State is currently vacant and appears not to be a priority for this White House. Hopefully there will not be any international crises in the near future, despite the Joint Chiefs of Staff having been quoted regarding imminent terrorist threats. A breakdown in interstate communications is currently disrupting Homeland Security correspondence with out of state colleagues. Currently trying to rectify the situation. What does mean for federal support? Scranton is mobilising its police because of similar sightings. Police chief Oderkerk says he is taking this threat seriously, but “it is not terrorism, we have everything under control”. The emergency services have confirmed what they call “zombie-like behaviour”, people are aggressive or catatonic, so they are thinking of drug abuse. According to Erie’s emergency services, everything is quiet, but they are prepared.